The stall holders are usually there all day in fine weather and most bring their collapsable tables and chairs with a camping stove etc and set up fine four course lunches for themselves at the stall side including with wine in glasses. Very stylish. 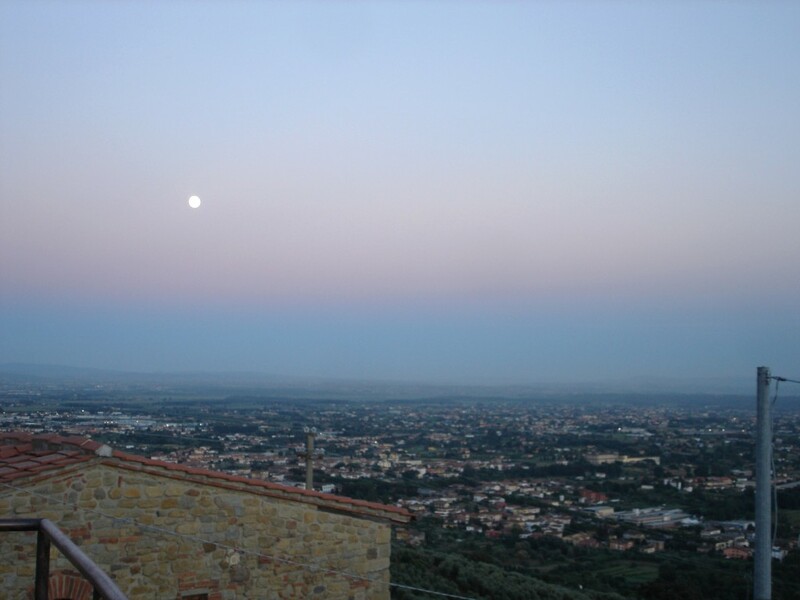 Our village of Vellano is the comune of Pescia, which is in the region of Pistioa, the main administrative city. However the regional boundaries of Lucca are but a few miles to the west whilst Pistoia is just over the hill to the east. 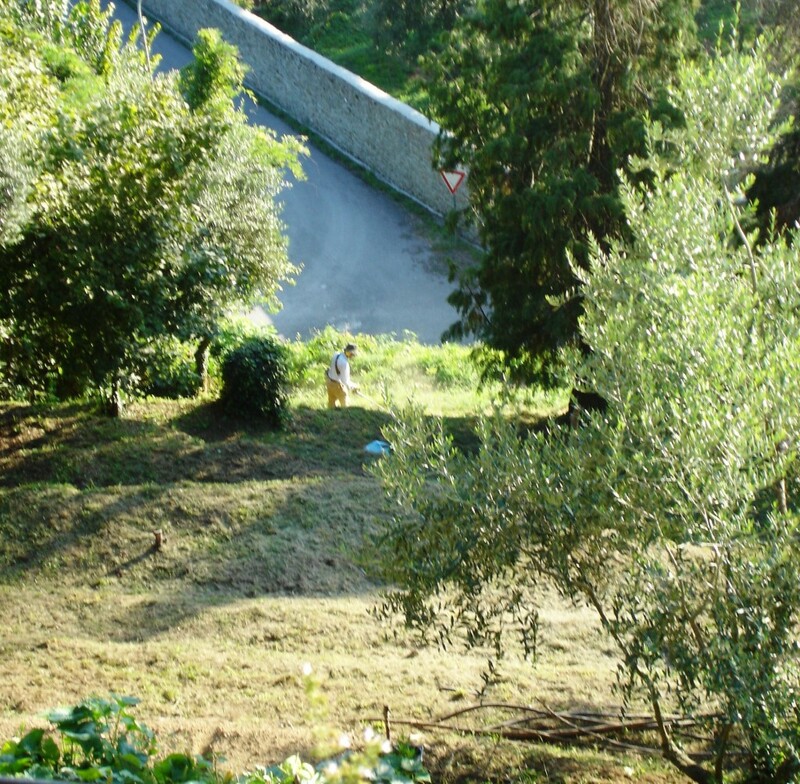 There are many in Pescia, especially those of us in the tourist industry, that want us to be more closely connected to Lucca – this may make geographical and administrative sense – but it is of course more to do with having good connections to a beautiful and wealthy relative. 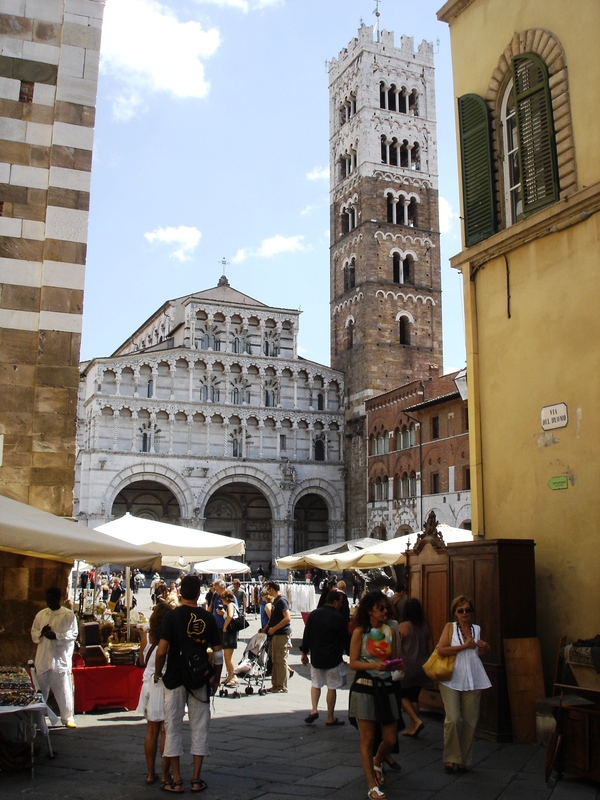 Lucca is much better known, and Pistoia, despite its very worthwhile atractions and so being always worth a visit, is not so famous. So there is shortly, we think, due to be a vote on where our comune should be. Anyway here is the Piazza Napoleone to finish off for this week. 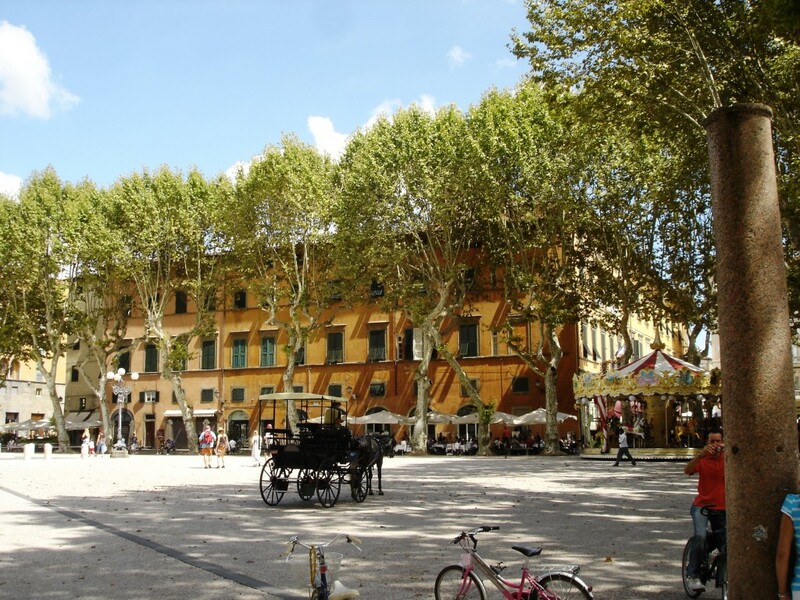 Napoleon so loved Lucca he gave the city as a gift to his sister Elisa – a beautiful gift! This is the Arno, Santo Spirito and the ‘Beach’. Ok, so this is the big place round here and we have been there today in nearly 40 degree heat but Florence still packs a punch in stunning visual sights. Here are a couple of photos to keep you interested in our wonderful blog. Also filling in for the fact we have had a lot of guests recently and I have not had time to write a fuller blog for this week. Please keep sending me encouraging comments!! OK……. 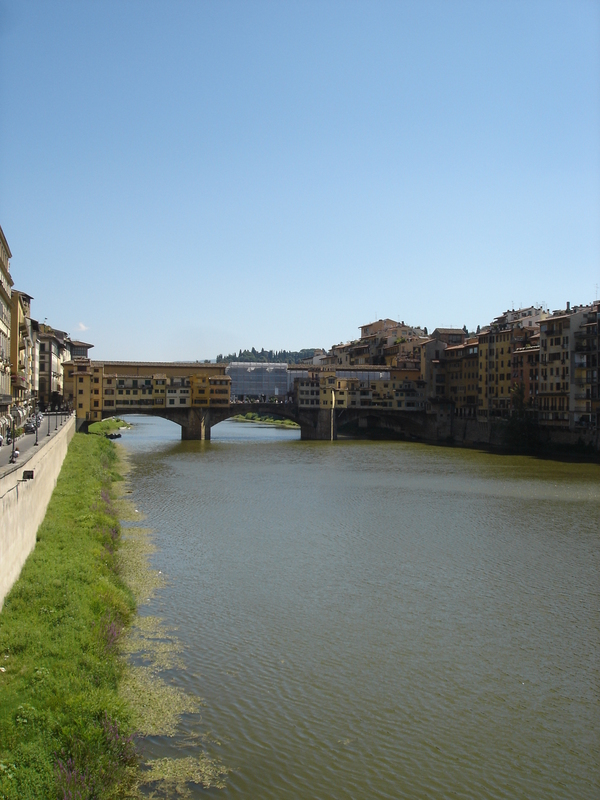 I suppose you want the Ponte Vecchio as well don’t you? Finally a competition. Is it Bill or Ben or Darren? Win a free Mars bar for the first correct answer, to be published on the blog!!! (Though you will have to travel to Italy to collect it). Who is it on the terrace? Unfortunately, this is not one of our pictures of the teatro del quattromila at Torre del Lago, as I forgot the camera on Friday. Thank you to Viareggio tourist board for the photo! Yes Friday the 13th, and luckily between showers, we attended a performance of Tosca at the annual summer Puccini Festival. It was wonderful! A lovely evening, a great atmosphere and fantastic singing, all ending in Roman drama at the Castel St. Angelo. There was lots of flying fabric on stage and plenty of glitter in the audience too. There is something about the aria Visse d’Arte in Act 2 which is quite wonderful, I think it is the age old emotional plea for mercy by those in peril to a tyrant, conquerer or abuser that we know tears the heart of those of us that look on, yet you know will not move the oppresser. It creates a very moving, sad and tearful scene. It also comes with a heart rendingly beautiful Puccini tune. Today, the 15th August is Ferragusto and we are told this is the most important holiday in the Italian calender. We do not know yet what this all means but there is definately a party atmosphere around at the moment with music and dining everywhere (except yesterday when it rained all day). Music and singing comes up from the Circolo (village hall) below us, some of it very atmospheric and pleasant, some more like a merry karoke night, but they switch off at midnight, go home and will probably do it all again tonight. So lets put on our dancing shoes and join in – summer will soon be gone. Prato is Florence little sister. Just a few miles nearer to Vellano than Florence it is actually Tuscany’s second largest city, even though you may hardly have heard of it. 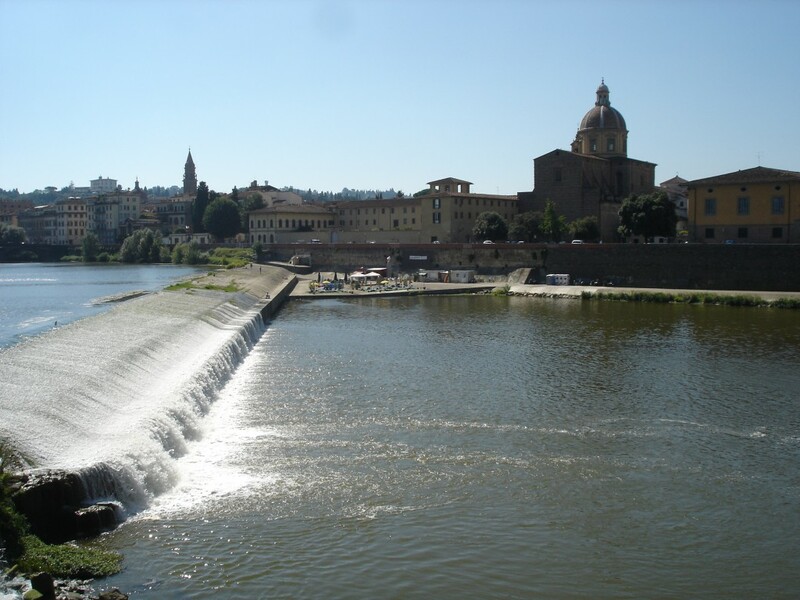 It is a town that is very much a commuter town for Florence but is also famous for being a town based on the textile industry, and is sometimes known as the Manchester of Italy. Actually the centre of town is quite small but has some medieval treasures of its own. The photo shows the front of the cathedral of Saint Stefano with its unique external pulpit. This pulpit was to show to the people in the square below, on special days of the year, ‘the sacred girdle’ , or leather belt of the Virgin Mary. 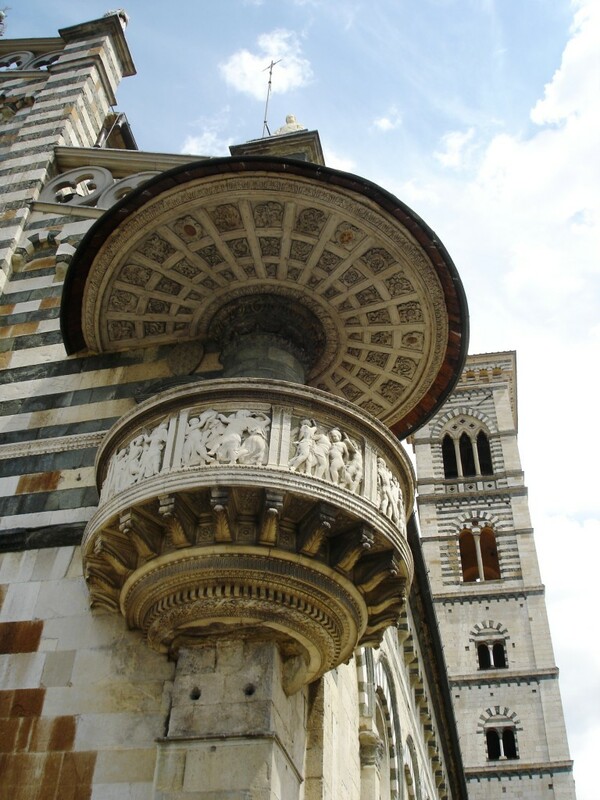 The pulpit was sculptured by Donatello & Michelozzo in the 15th century. The cathedral itself is a beautifully proportioned building in layers of dark green and white marble. Inside there are some fantastic frescoes by Filippo Lippi, the most famous is known as Salome dancing; and also by Paulo Uccello (The birth of the Virgin Mary). It is one of the pleasures for us that we can visit these places a little piece at a time, as there is always so much to see. Next week is the feast of the assumption, Italy’s most important holiday, we are told. 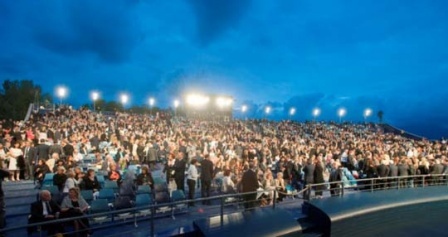 We look forward to the fireworks and we also look forward to seeing Tosca at the open air Puccini Festival at Torre del Lago on Friday. We will review these for you in forthcoming blogs. Just a very nice picture of a lovely full moon sunset on a beautiful clear evening. This after a long period of very hot sultry weather in July. In the not too distant future our first summer here will be over already. Last week we spent a lot of time putting away winter wood in preparation for that season and wondering what Vellano will be like then. We are hoping to embark on ‘phase three’ of our move here in the autumn. This involves some renovation of ‘our’ part of the house, including a new bathroom, and a new sitting room with a real log fire. This also means more work clearing some of the land especially that behind the house, where old terracing has disappeared under an ocean of brambles. Ah! but let us not think about this work too muchas there are still many more warm sunsets to enjoy first.